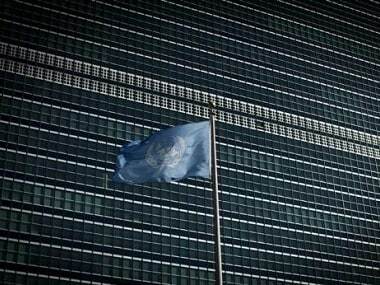 United Nations: Bangladesh prime minister Sheikh Hasina has hit out at Pakistan, saying its army launched a "heinous" military operation in 1971 which triggered a "genocide" during the liberation war, killing three million innocent people. 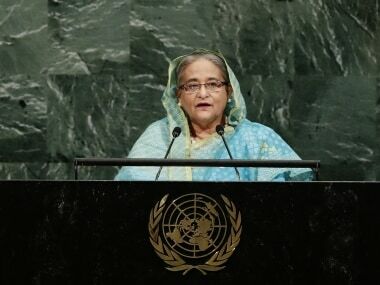 In her address to the UN General Assembly on Thursday, Hasina said her country's Parliament had recently declared 25 March as 'Genocide Day' to pay homage to the victims. The war in 1971 broke after a sudden crackdown at midnight on 25 March, 1971, in the erstwhile East Pakistan by the Pakistani troops and ended on 16 December. The same year Pakistan conceded defeat and unconditionally surrendered in Dhaka to the allied forces comprising the freedom fighters and the Indian soldiers. Officially, three million people were killed during the nine-month-long war. "In the 1971 war of liberation, we endured an extreme form of genocide. In the nine-month-long war of liberation against Pakistan, three million innocent people were killed and more than 2,00,000 women were violated," Hasina said. "The Pakistan military launched the heinous 'Operation Searchlight' on 25 March, which was the beginning of the 1971 genocide. The 1971 genocide included targeted elimination of individuals on the grounds of religion, race and political belief. The intellectuals were killed brutally," Hasina said. Exercising its right to respond, Pakistan rejected Hasina's statement. "Prime Minister for our Bangladeshi brothers and sisters, let me add that they have to come out of the narrative of hate and dispel the twisted notions of history. There are no takers for their contentions," Pakistan said late Thursday night. "The issues of 1971 agreed were and settled under the budget agreement of 1974 which was signed by India and Bangabandhu of Bangladesh. Hate berates hate. We have to move on," Pakistan said. Hasina also said that terrorism and violent extremism had become a major threat to peace, stability and development. "Terrorists have no religion, belief or race. Having been a target of a number of terrorist attacks myself, I personally empathise with the victims of terrorism and appreciate their need for protection. We denounce the use of religion to justify violent extremism," she said. Hasina reiterated her call to stop supplying arms to the terrorists and to stop terror financing, besides settling all international disputes peacefully. 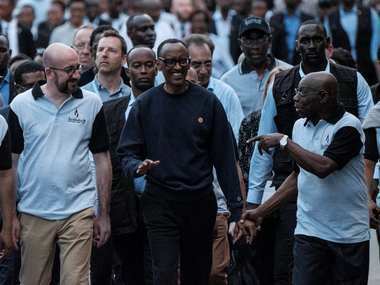 "I also urge the UN to address the growing threats emanating from the cyberspace to prevent money laundering, terrorist financing and other transnational organised crimes," she said.